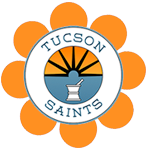 Medical marijuana patients in Tucson have many different strains to choose from when visiting a dispensary. Having so many choices can oftentimes create anxiety or confusion when looking to treat symptoms. Having some knowledge of what types of cannabis there are, and the effects they will have, is a good start. In fact, different strains—indica, sativa, hybrid or CBD—can help patients with varied symptoms. Indica strains are known for providing sedation and are used mostly at night. Indicas are best for patients who may be treating pain and insomnia and not recommended for day use or productivity. Sativa strains provide patients with energy and have uplifting effects. Many patients use sativa strains during daytime hours before physical activity like cleaning house, working out or tasks that require productivity or energy. Medically, sativa dominant strains are often used to treat depression and fatigue. Hybrid strains are in between the indica-sativa spectrum, depending on the traits they inherit from their parent strains, which often becomes a perfect balance. Many patients use hybrids for afternoon medication. CBD rich strains have a low tetrahydrocannabinol (THC) content, designed to help alleviate pain and anxiety without any psychoactive effects. This means users will not get the “high” feeling often associated with cannabis ingestion. 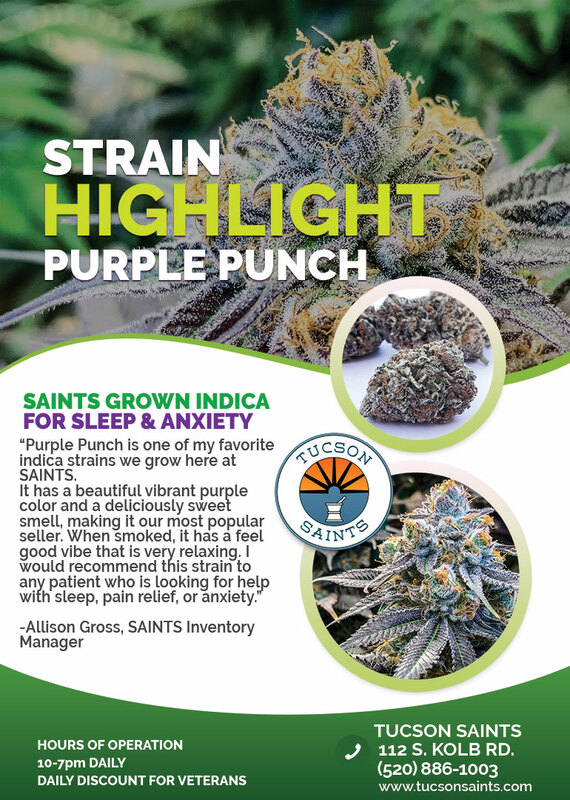 One of the most popular and universal indica strains is Purple Punch. It’s known as a great pain relieving strain. It is a cross between Grand Daddy Purple and Larry OG and one of the most eye-catching strains that is grown. Its color is deep green and purple, often covered with a layer of frosty trichomes. It tastes of sweet berries or grape candy. The effects are very much indica, offering relaxation and euphoria and assisting with sleep, pain and anxiety. This excellent indica is also great for managing stress, nausea and body aches.